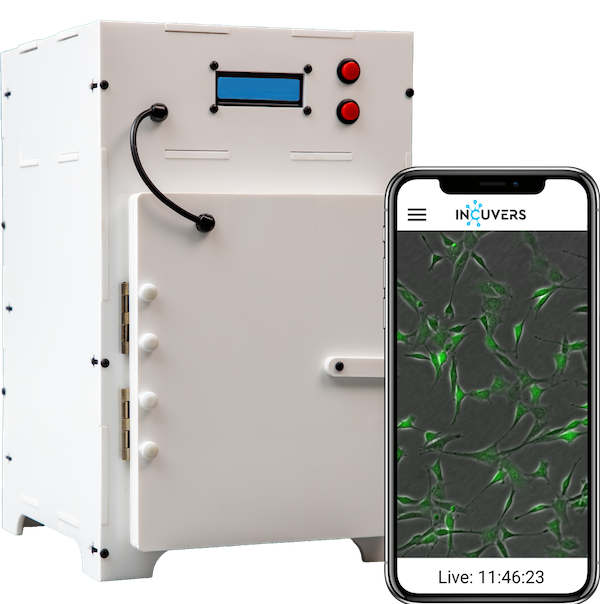 In incubator live cell imaging means uninterrupted experiments, remote cell culture monitoring, and automatic data and video logging for all experiments. This telemetric chamber gives you absolute control of conditions, constant live data, and time lapse videos of it all. 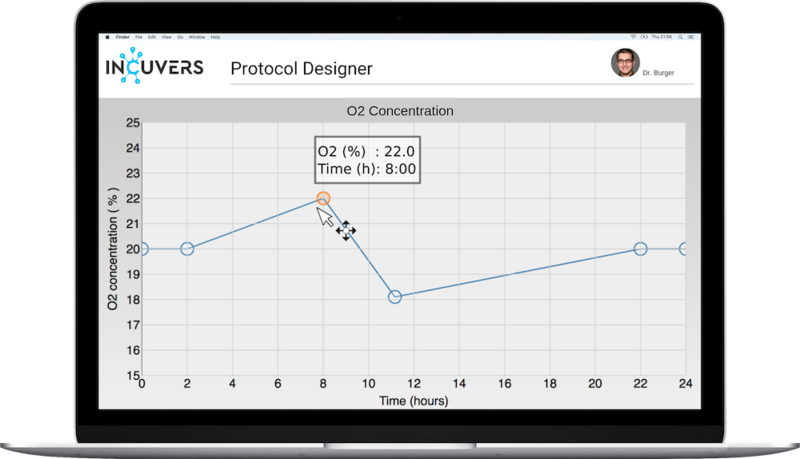 Simulate ischemic events, perform heat shocks, and more by designing your experiments to cycle, fluctuate, or maintain environmental conditions. 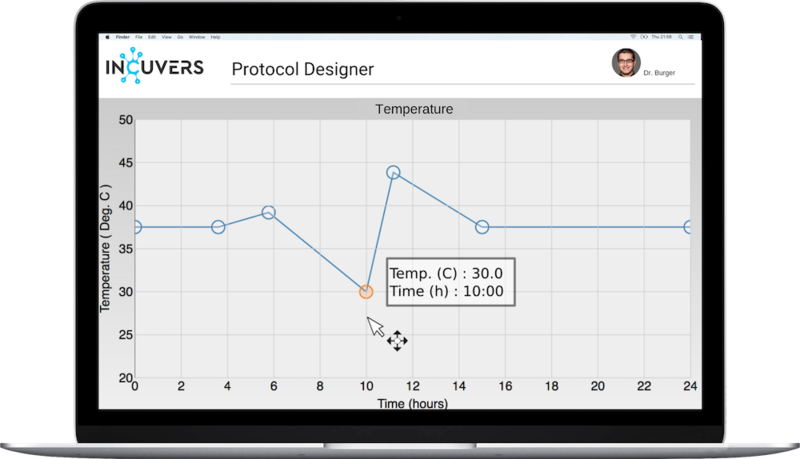 With IRIS you have complete control of your chamber's conditions. 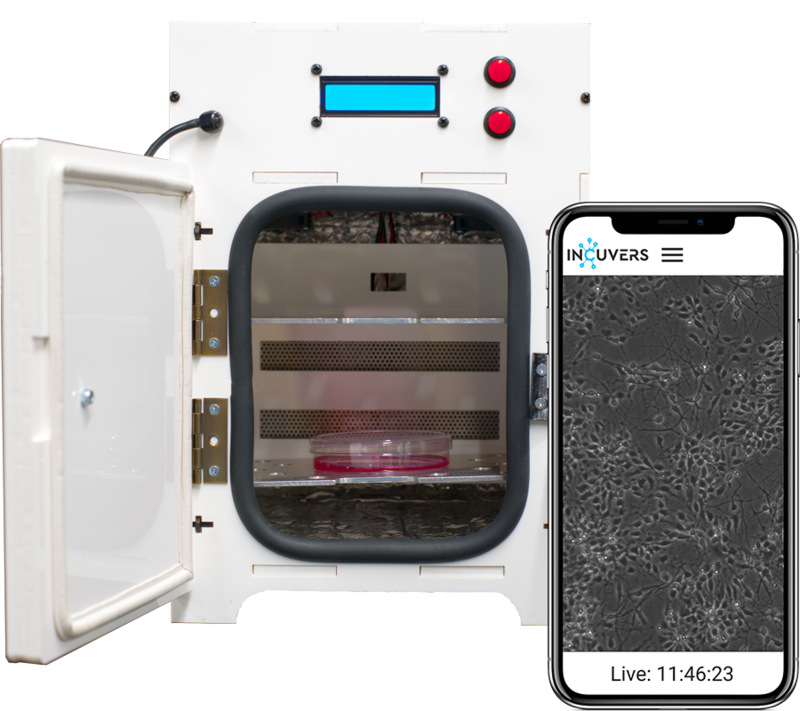 Give your students hands-on experience with live cell imaging in their cell culture courses and prepare them for post graduate studies or working in industry. 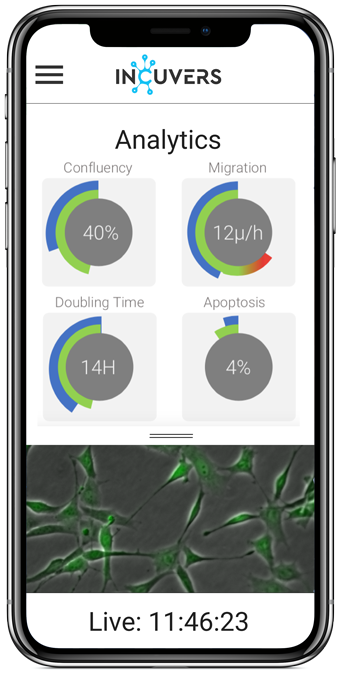 "To Visualize, Connect, and Explore Every Moment of Cellular Research to Accelerate Discovery"
Our vision is of one platform connecting all of the world's cellular researchers through a common technology. 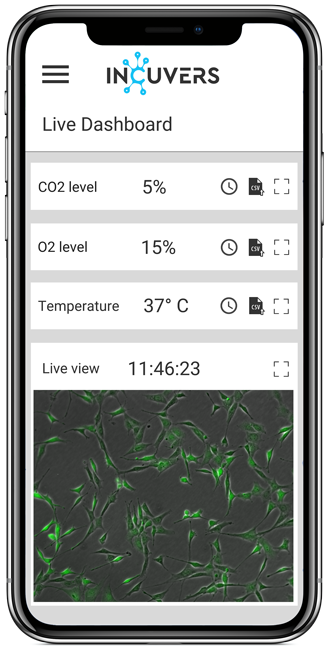 A telemetric chamber isn't just a space to grow cells; it becomes your very own virtual lab assistant and a point of connection within a global network of likeminded researchers. 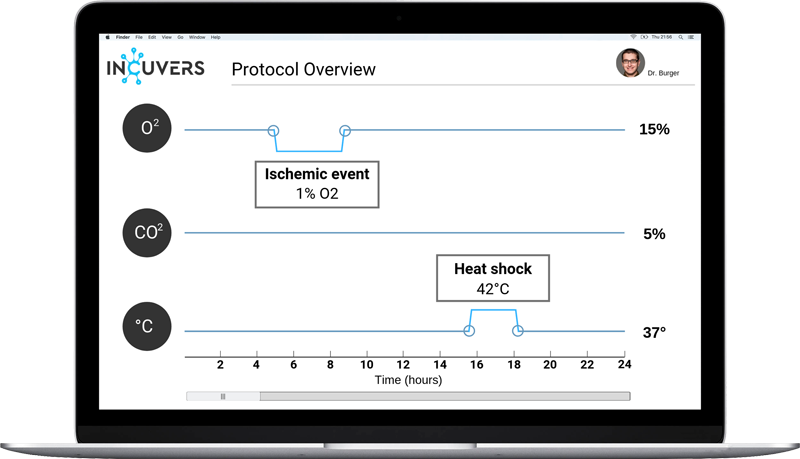 As the Incuvers community grows, IRIS will begin to harnesses AI to compare your analytics with other researchers around the world. 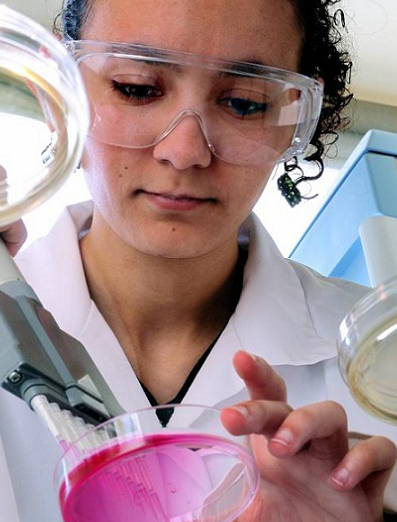 This global benchmarking means that you always have relative information on how your experiments are performing. 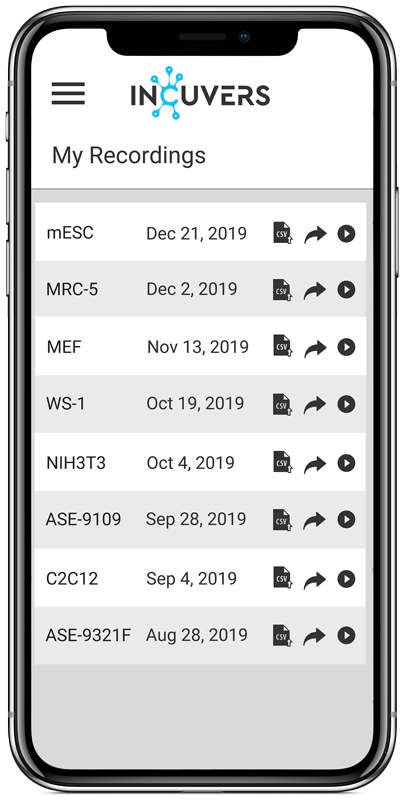 Join the 35 researchers and educators who have already signed up! Join our private beta now to have your say on IRIS features and apply to beta test. Fill out the information below and click "submit"
First Name Last Name Email Address Institution How did you hear about us? Select one...TwitterGoogleColleague/referralInstagramFacebookOther How would you use IRIS? Thank you! You can expect an invitation email soon.